A new school year begins at Hanzaki Elementary School and there's a new mysterious teacher named Akutsu Maya in grade 6, class 3. Meanwhile, Kanda Kazumi is now entering the 6th grade and filled with excitement about the new school year. Kazumi also has Maya Akutsu as her new homeroom teacher. The students in grade 6, class 3 quickly realize that Maya never smiles at them and treats them mercilessly. Students are not even allowed to use the bathroom during class time. Maya places a high emphasis on test scores and gives pop quizzes every week. Students who receive the lowest scores, become almost like her slaves as they must perform odd jobs in the classroom. Kazumi quickly falls into the crosshairs of Maya. A year 1-year battle then ensues between Maya, who rules her classroom like a queen, and the students of grade 6, class 3. 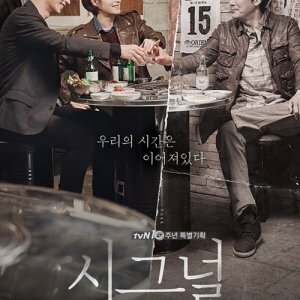 Jyoou no Kyoushitsu is a drama which is intense,significant,educative and addictive. 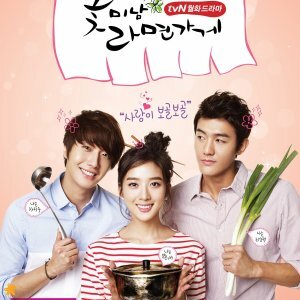 The main attraction of this drama is that it is an exception to the typical school dramas. All Japanese classroom dramas so far have been about the teacher saving the students from their own folly.On the other hand, Akutsu Maya-sensei is the teacher no one ever wants to have.She's Brilliant, manipulative, obsessive, and dead set on making sure that the students fall in line with her rules. Another good point is unpredictability. The Queen's Classroom breaks from traditional drama with an apparently evil teacher who is out to prove that the world is a harsh place, and so is her classroom.She's a cunning and calculative teacher and systematically removes the parental and academic protection the children had enjoyed, and forces them to deal with their problems themselves. The Queen's Classroom" is an astonishingly well elaborated and smart drama series, which points at the bad condition at Japanese schools or certain deficiencies in Japanese society in general, and does so in a very entertaining way. The show isn't just thought-provoking;it is also very touching, appealing and persuasive concerning its message. Last but not least is the outstanding cast. Amami Yuki, the actress who plays Akutsu Maya, did exceptionally well in portraying such a devilish teacher. I think it's because She did so well that for the end credits of each episode, they decided to show her after a take and smiling, a facial expression only used when she does something particularly "evil "!! Shida Mirai did an excellent job as the innocent-minded child. she's incredibly adorable and became my favorite teenage Japanese actress after this drama. The two specials were indeed very special and did an awesome job in explaining the reasons why the characters acted the way they did.They reveal all they mysteries,answer all the questions and justify all the actions. I can write so many things in praise of this drama!! But it’s very hard to continue without giving spoilers. This is a drama which everybody should watch.If you believe that this is a show solely for teenagers or even children, only because almost all of the main actors aren't older than twelve and drop it half way then you are mistaken. It’s only if u watch it till the end then you would realize how ‘not-childish’ this drama is! This series suffers from minor defects in the story line but nothing is perfect and please don't give unnecessary importance to these occasional faults and belittle this great drama. Although the atmosphere throughout the series is quite dark, Queen's Classroom is actually one hell of an entertaining show!Hope you'll enjoy this wonderful 'monogatari' as much as I did. ‘The Queen’s Classroom’ is my only second Japanese drama, first drama was ‘Bloody Monday’. I enjoyed this show more than any other show. The story is very meaningful. It changed my views for importance of study, life and past-present-future. It is pessimistic and also optimistic; realistic and also idealistic. 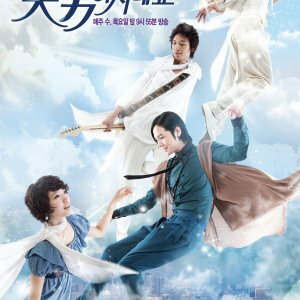 Every character in the drama and all 24 students have their own dream and problem to solve. They learned some important lessons as the time passed. Speech in last episode is very thoughtful, and it’ll create huge impact on you. The actors were also amazing. The actress who plays Maya is both lovely and really talented. I can’t help myself fall in love with Shida Mirai. All kids are wonder kids; every kid played their role perfectly with emotions as if they are really in that situation and everything is happening to them. All the episodes are extremely touching and made me cry, tears weren't falling because of only sadness but tears were falling because of happiness also. I highly recommend this drama to everyone. It’s one of the most meaningful stories I've ever seen and really makes you think about teaching, learning, and life. There are many great moments but ending scene of Maya in last episode is epic. As I mentioned already that I enjoyed this show more than any other show. I hope they’ll air this show someday in India. If you haven’t started this show yet then start it now……and don't forget to watch specials..."Tee Hee"!! !